» Along a bikeway: Whimsy or what? Along a bikeway: Whimsy or what? 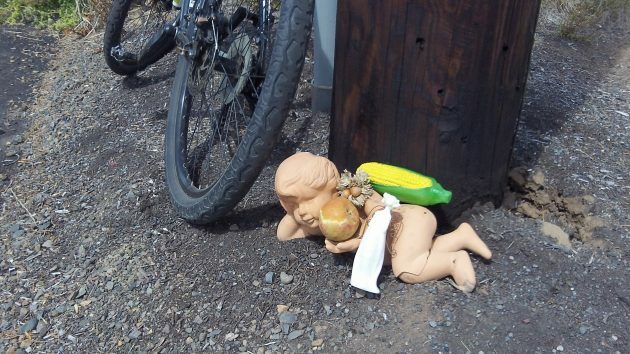 Maybe there’s some significance to the presence of this plastic cherub by the side of the Highway 34 bikeway, and maybe not. 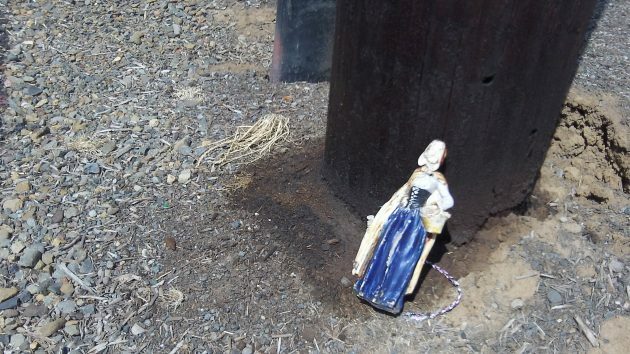 Riding west on the new bikeway alongside Highway 34 the other day, I saw this little plastic doll resting against the base of a Pacific Power pole and didn’t think anything of it. Then I came to the power pole next in line. 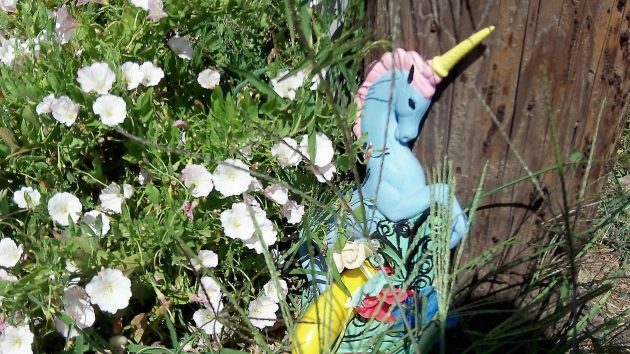 So, a plastic cherub with an ear of plastic corn and a rotten apple, followed by a figurine of indeterminate character and then a colorful unicorn — it’s got to mean something, right? Touches on the tinfoil wrapped poles of years ago. Mid-90s? I don’t recall the resolution of that expression. It would be fun to read more detail about both.